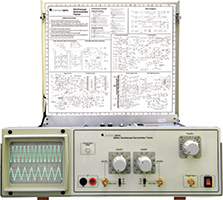 Scientech 2001E Oscilloscope Demonstrator / Trainer is specially designed to study the live working of an Oscilloscope. 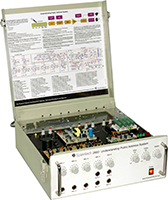 The entire circuit is placed on a single PCB. with color marking for different sections. All the controls are placed actually at the place as they are in the PCB layout. 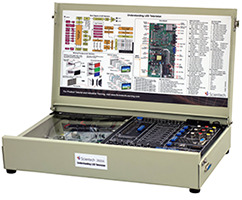 Thus a trainee can easily locate any section & components for the study. The function controls and the adjustment controls are fully accessible to the trainee to verify their effect on the working of the scope. Creation of Faults and rectification of faults are important exercise covered in the experiments. An illustrated block and circuit schematic and the adjustment plan pasted right in front of the trainee~s eyes helps him to correlate each operation during the demonstration. 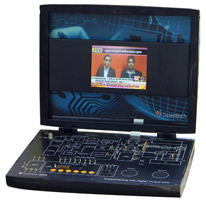 Scientech 2001E, Oscilloscope Demonstrator / Trainer is an ideal platform to enhance education, vocational training, skills & development amongs our young minds. Test points in each section.